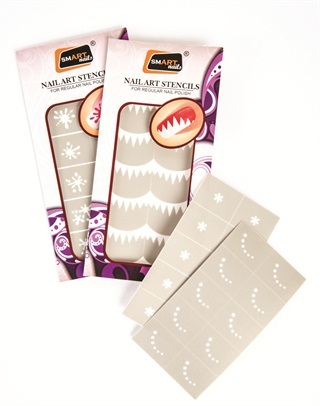 New nail art stencils from Ram Products Inc. work just as well for beginners as for advanced designers. Newbies can use one stencil at a time to create fresh designs that are difficult to handpaint, while advanced artists can layer stencils to create a one-of-a-kind design. Try stacking an abstract design such as Dots P038 with a more realistic one like Small Flowers P040 to create a cohesive look. For more information, visit Ram Products Inc..